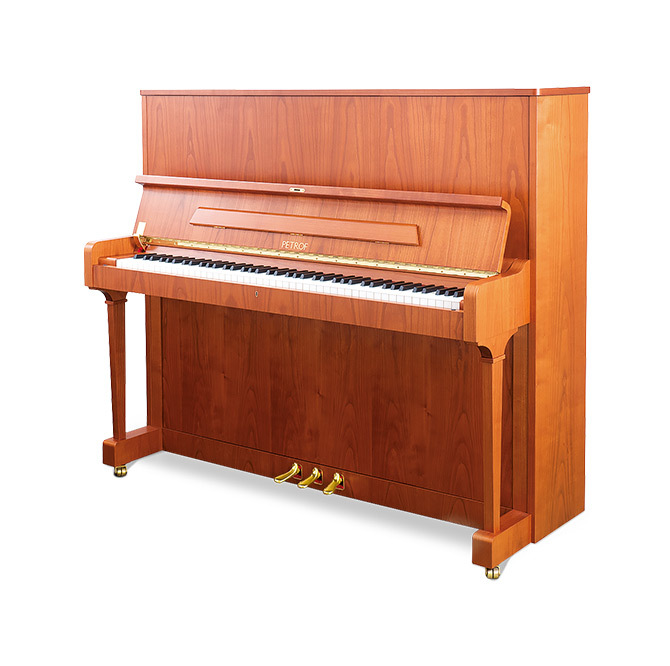 Upright pianos | PETROF, spol. s r.o. PETROF’s acoustic instruments stir the hearts of music lovers with their typically romantic, rounded and gentle tone. 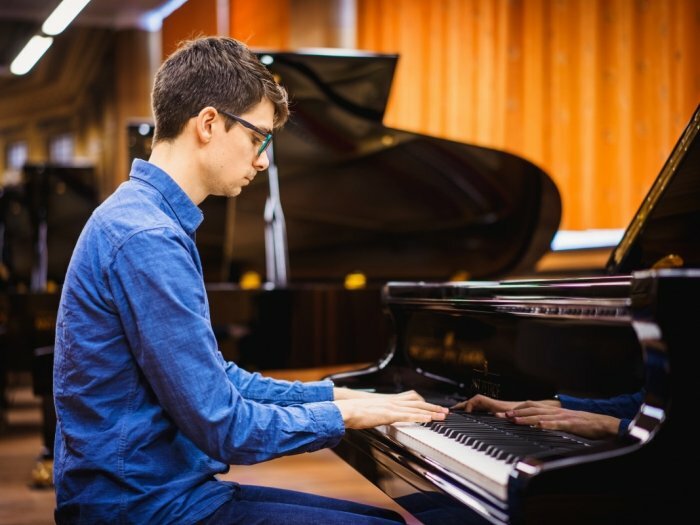 The company’s reputation has spread all over the world and we are proud to be able to continue the family tradition of piano building begun in 1864 by Antonín Petrof, the company founder. Our portfolio is very wide and has gained an array of patents including the declaration of quality construction materials and European origin - the European Excellence Seal (EEX). PETROF uprights undergo constant development and improvement, enabling us to meet the requirements of even the most discerning pianists. Our master technicians and piano-makers, working carefully by hand, aim to create diversity of instrument type and a wide range of surface finishes. 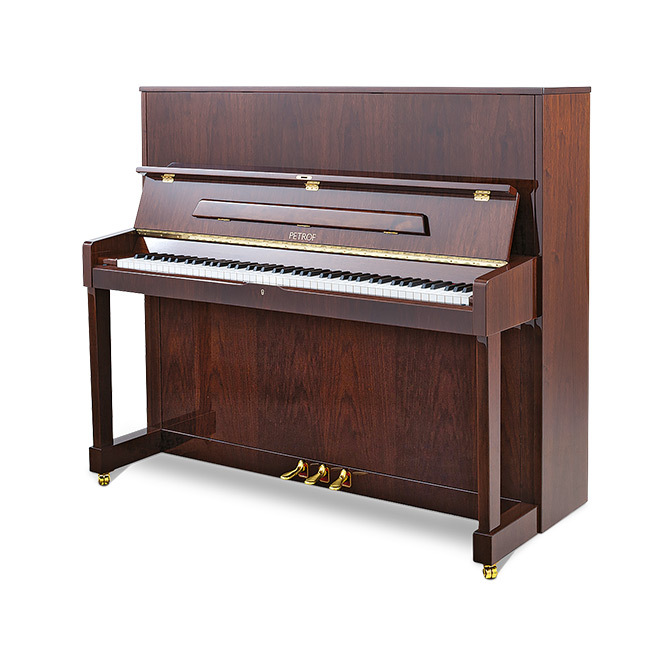 Instruments of this height range are the tallest upright pianos of concert type, and have a surprisingly powerful yet gentle tone that will transport you to the concert hall. We have proved many times that thanks to their quality these models can gratify even the most discerning musician. They glow with energy and with that characteristic romantic tone that is continually being perfected by our technology. This is a further cause for us to celebrate the growing popularity of PETROF uprights in the world. 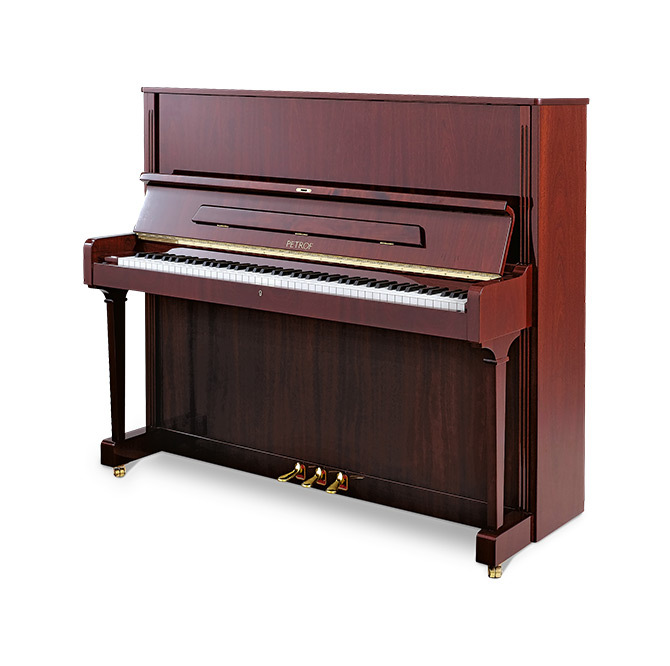 Meet the tallest upright of the PETROF brand, which boasts the greatest sound potential. 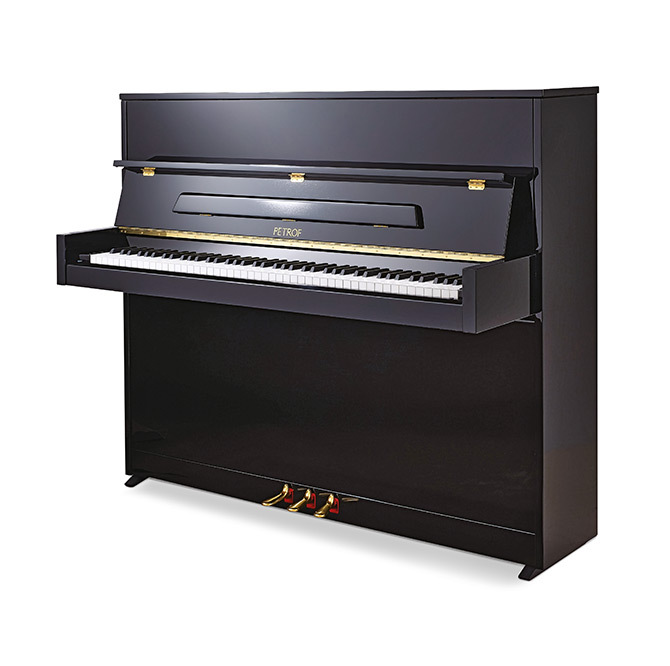 Its size makes it ideal for discerning professional pianists and audiences. This is an instrument of masterly construction intended for music schools, (home?) interiors, and for the performance of musical works with orchestra. Its uniqueness is enhanced by the unusual design of the music stand, but lies most of all in its powerful, open and colourful tone. Because of the power and colour of its tone, we also place the P 131 M1 among the concert instruments of the Highest Series. This piano places no limits on the musicians’ art, creating generous space for their self-fulfilment. 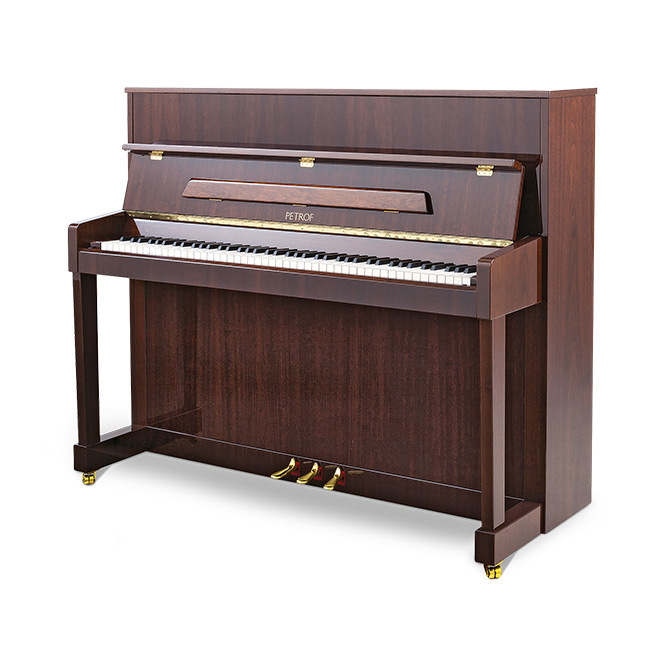 This piano is remarkable for the modern, simplified design of its cabinet, making it an ideal addition to many music schools and larger interiors. 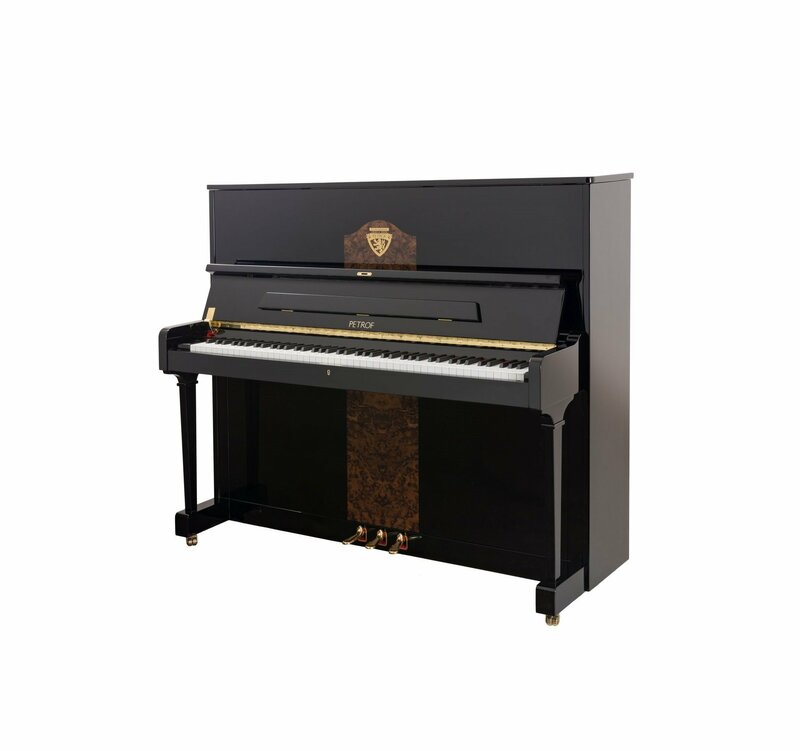 Pianos of the Higher Series have captured the hearts of our customers, with whom they are traditionally the most popular instruments. The main reason for this is the optimal height of the instruments, which at the same time maintain their outstanding acoustic capacity. This gives them a wide dynamic range and an unusually rich sound. 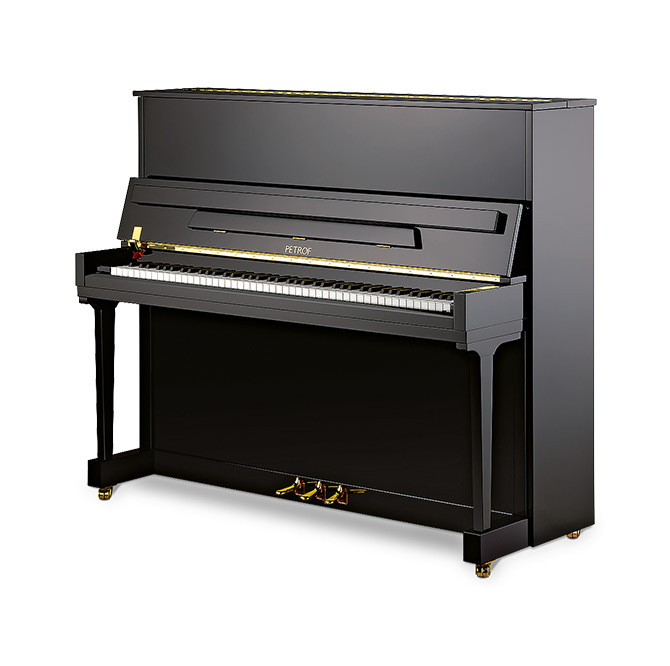 These pianos are very elegant and ideal for many types of studio and hall. They also make fine instruments to accompany ballet, musicals, or classical dance. We produce Higher Series instruments in a number of variants, and confidently assert that every pianist will find in this series a design that appeals to him. 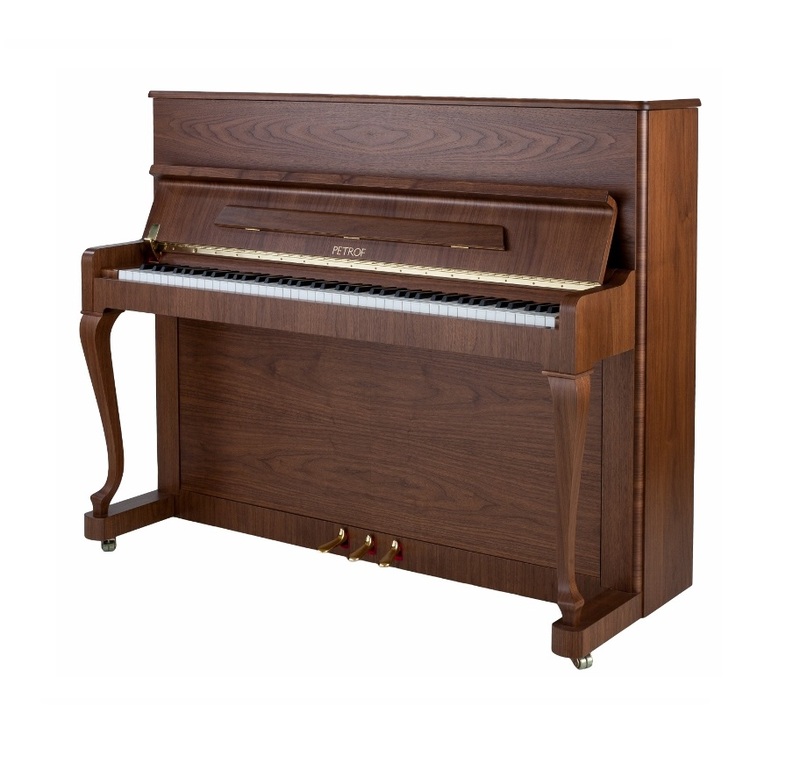 The P 125 F1 upright is a very popular model with great musical versatility. Players buy it for practice purposes and for home and school keyboard instruction, though when you sound its strings and allow its rounded and gentle tone to resonate, you will delight the guests at any venue. 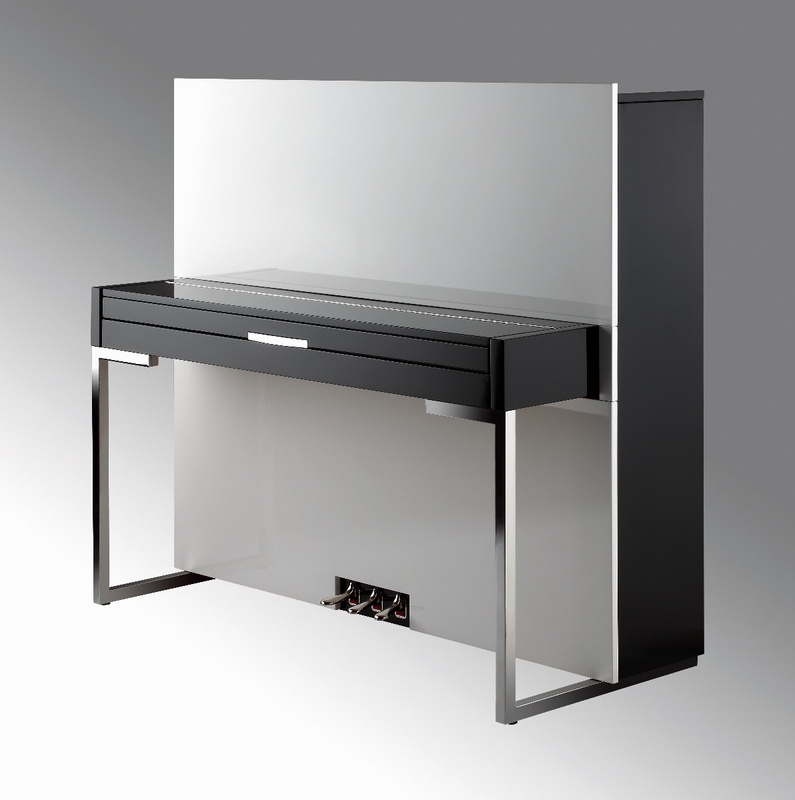 The F1’s cabinet combines both classical and modern design, which fits in with any home interior. The pianist Lukáš Hrubeš on the P 125 F upright. We produce the pianos in our Middle Series with a view to their preserving all the qualities the public appreciates. These include clear, elegant design, simple shapes excellent dynamic qualities and above all a romantic, rounded tone. The size of these instruments belies the power of their sound and allows anyone who sits down to play it to develop his talent. Pianos from the Middle Series will come to be your companion for everyday playing and practising, and smooth the path of your musical education. 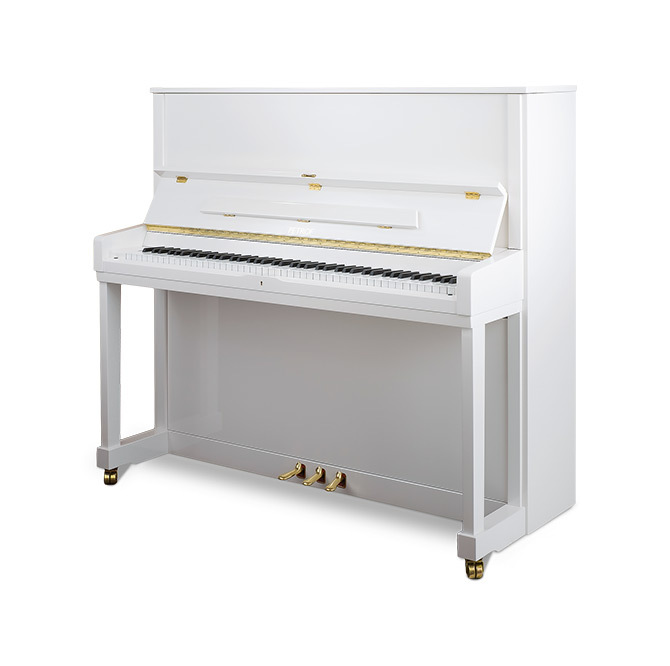 For smaller interiors and for teaching and practising purposes we also recommend the P 118 S1 upright. 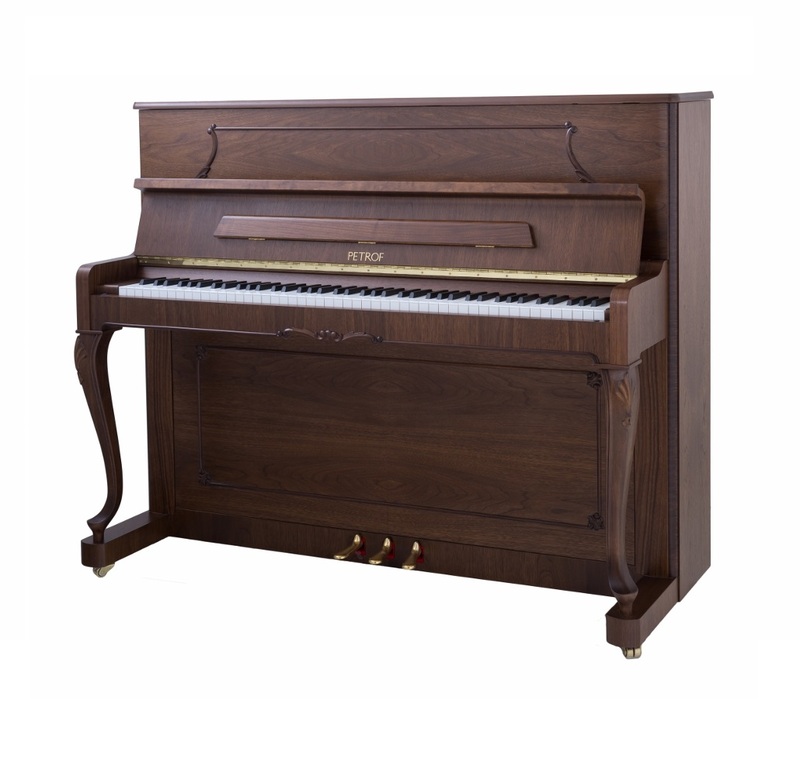 This piano comes with a very small cabinet that goes perfectly with the furnishings of any modern household or music school. 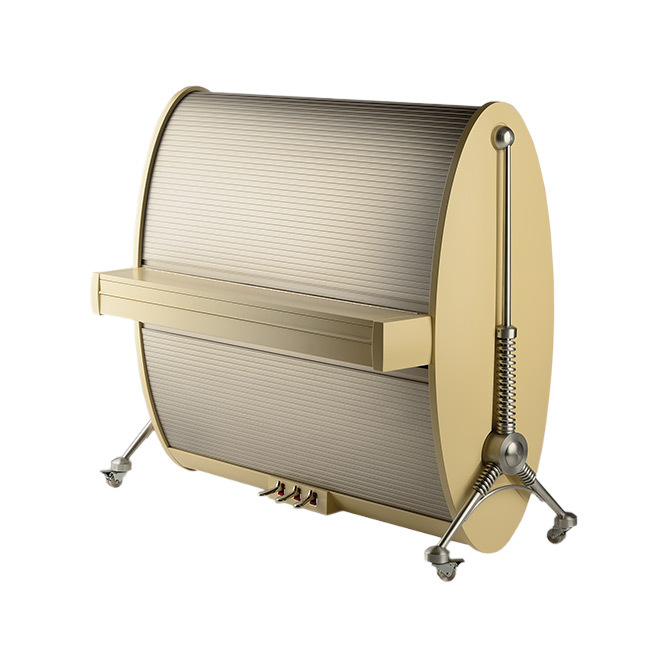 Again you can choose from a number of surface finishes, ensuring that our instrument will delight you not just with its lovely sound, but also its beautiful appearance. 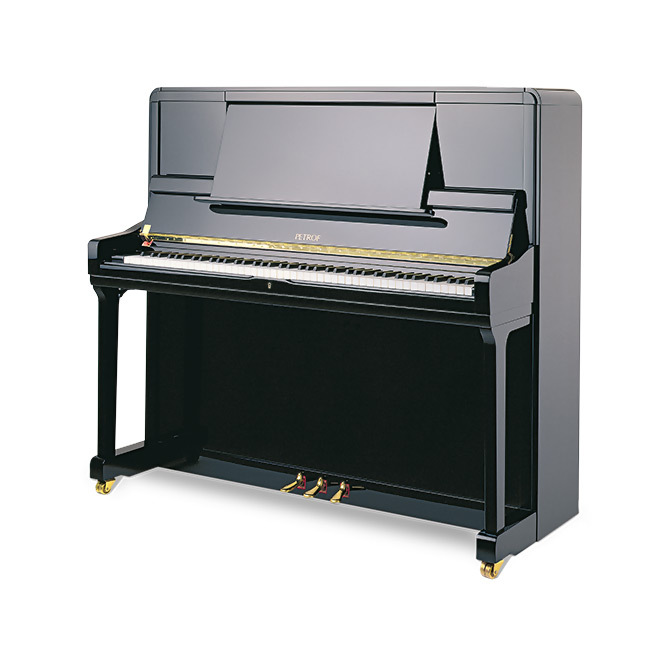 The upright models in the Style Collection derive from successful grand pianos in the same series. The high proportion of work done by hand makes every instrument an original, encapsulating the personalities of our craftsmen. Our master carver’s inspiration comes from Rococo and Classical art. For their part, our intoners endow the hammers with the necessary qualities to give the piano its typically open, rounded and romantic tone. The Style Collection series enjoys great popularity with our customers, and for this very reason has become an integral part of our production. 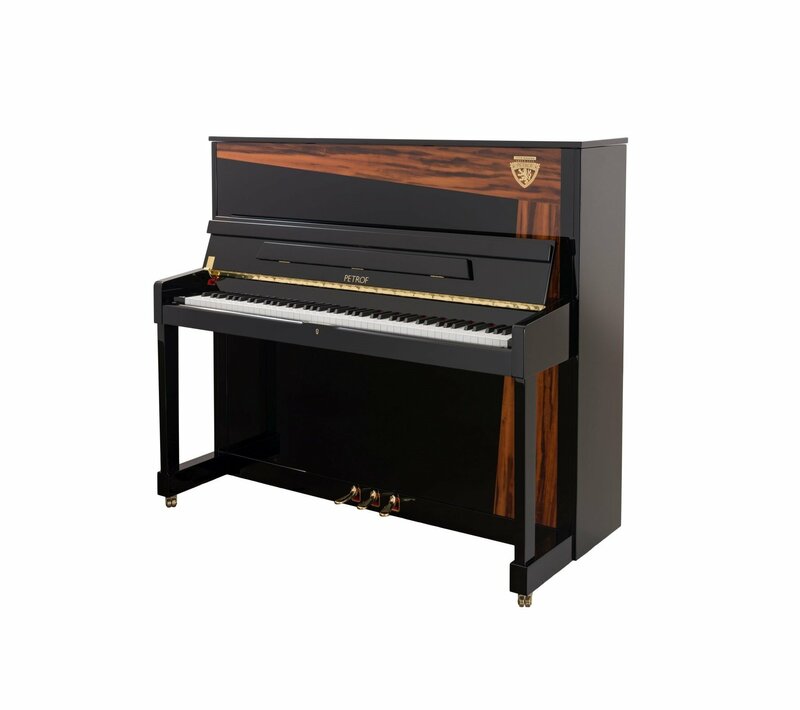 As its name suggests, the P 118 R1 upright is built by our piano-making craftsmen in the Rococo style. This ensures it a place in interiors and halls of the same originally French style. The Rococo model is most remarkable for being white with patinaed features, making it as decorative as its rich, soft and romantic tone - typical of all PETROF instruments. 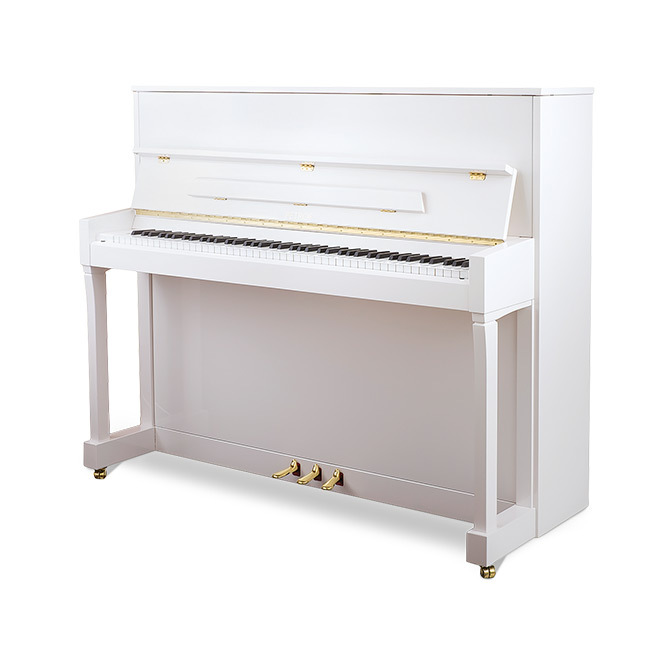 The unique pianos in the Special Collection are made to fulfil the wishes and requests of highly discerning customers. It is an honour for us to create a first-class instrument in exact accordance with individual designs. 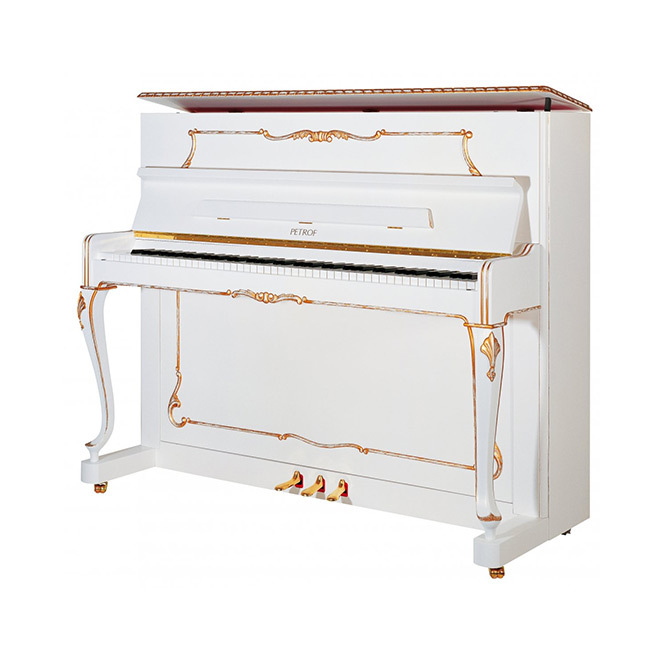 Pianos in this collection are distinguished by the precision of their construction, and every one is exceptional. 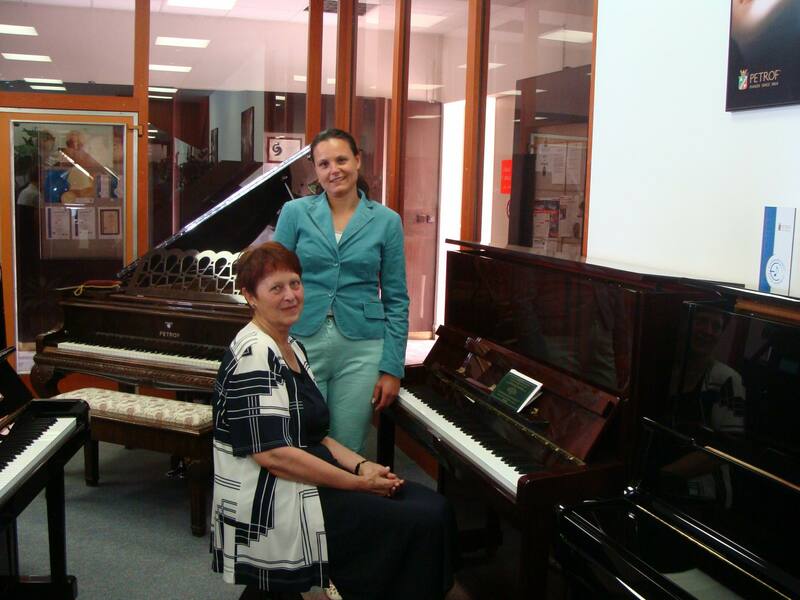 And of course they still have the gentle, delicate and romantic tone typical of all PETROF instruments. The instrument, dominated by the Tiger wood veneer, is designed for lovers of a pure and modern design who want to celebrate the anniversary with us. This hard wood, appreciated for its beautiful wood grain and structure, resembles flames of fire. In order to bring their warmth to your soul, you just need to sit down and let the typical rounded, romantic tone of this model enter your heart. In that moment you will feel why this model is so popular. Walnut, a traditional tree in our latitudes, draws its strength from its deep roots, and thank to them, it can survive centuries. We have also returned to our roots and humor of our ancestors, who very fondly used the walnut burl. A look at the beautiful wood grain of this veneer will bring you to their times. 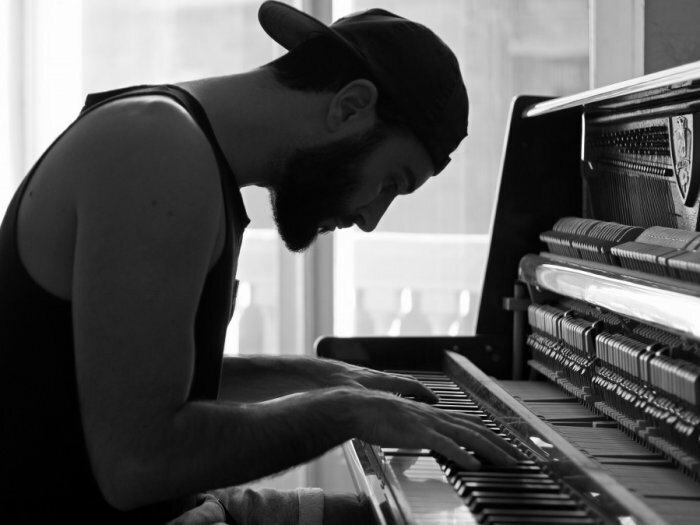 You will best honor their memory when you sound that piano. After all, thanks to their work, we can celebrate this beautiful anniversary. 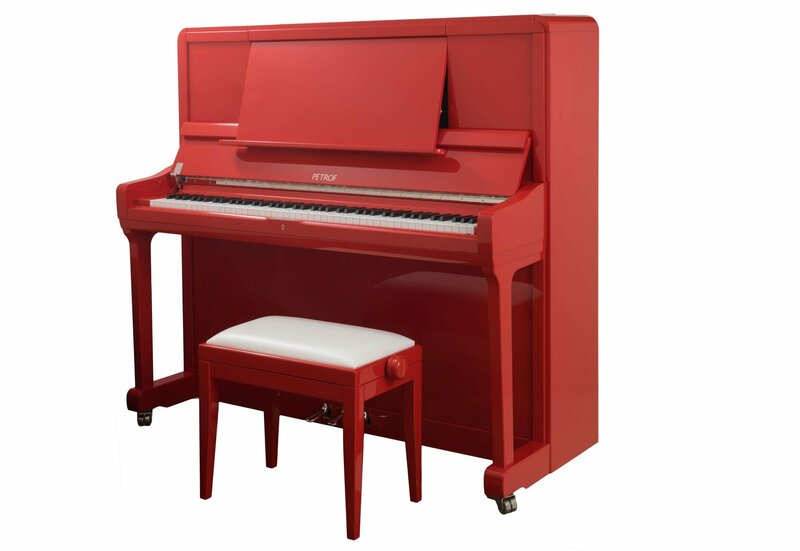 The PETROF upright piano in a dramatic red is a unique instrument. You cannot fail to notice it! We know it is not for everyone – some will want a colour to go with their favourite car, of their home interior. 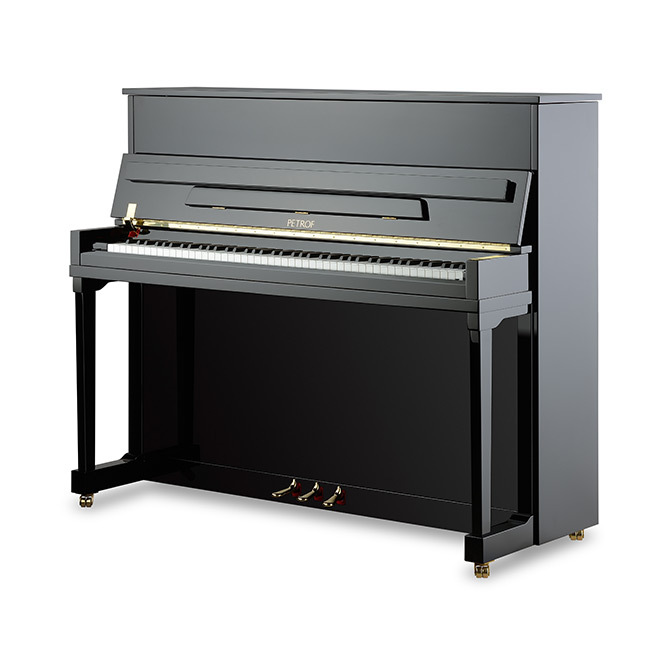 We can cover any model of PETROF piano with any colour you can imagine. Why not romantic lilac or ocean blue? Everything is possible! 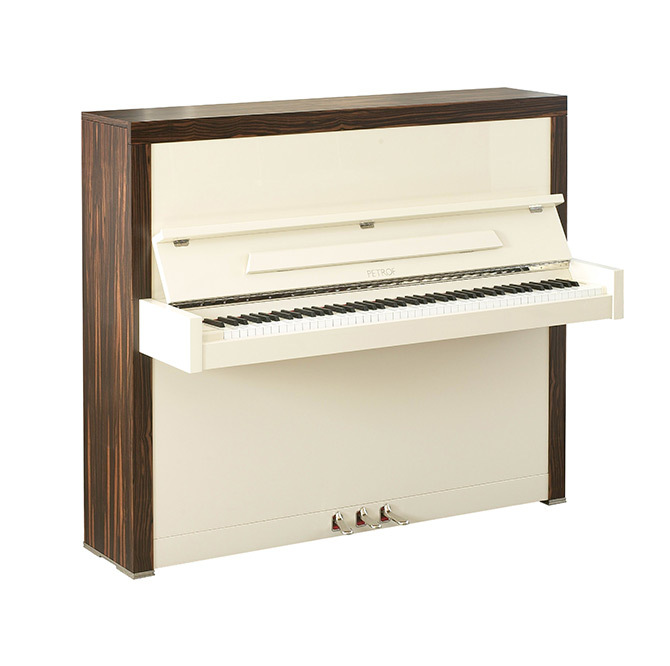 The P 127 upright is an instrument of contemporary modern design. It is characterised by its clean lines, rectangular forms and high-grade materials refined to the finest detail. The instrument is intended for contemporary interiors with modern, minimalistic furniture. We can produce the cabinet sections in almost any finish - from natural veneers to the most diverse shades of colour that best show off its high gloss. The upper panels of this piano can be easily changed. You can alter the piano’s appearance to match the style of your interior or your current mood. This unique instrument combines the brainchild of Ing. arch. Robert Fišer with the diligence, skill and single-mindedness of our workforce. More than 150 years of tradition, experience, patenting and innovation have gone into producing the masterpiece that is the PETROF Magic Egg - its heart full of love and protected by a futuristic and breath-taking shell. In the course of its construction, our employees have devoted themselves to every detail, from the selection of the best quality materials, through precise construction processes, to its sumptuous finish.